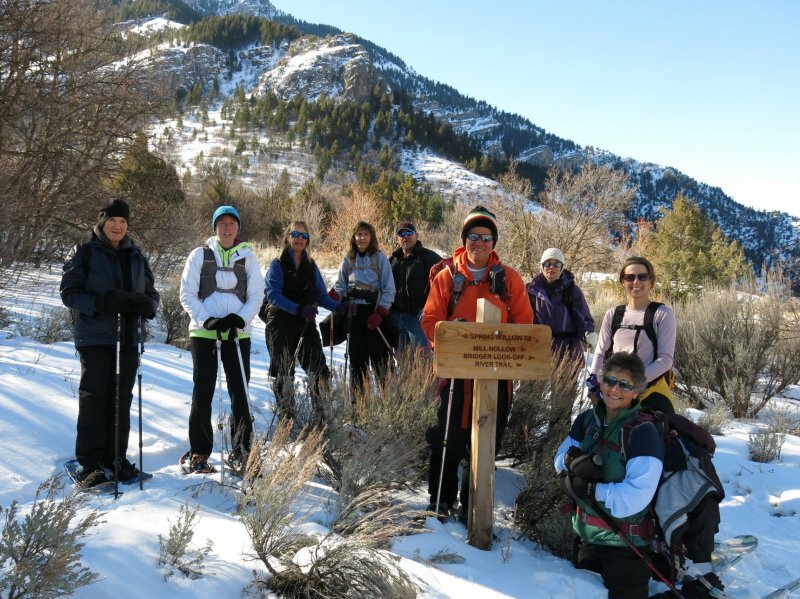 Ten people joined this snowshoe-only trip: Dave W. (the leader), Jane, Jeanne, Joe, LaVae, Kip, Terry, Gordon, Nikki and Stephanie. We assembled into carpools and drove the short distance to the Spring Hollow campground. The parking area here was unplowed and icy, but there was plenty of room. We started on the trail about 10:30 and headed west toward 3rd Dam. 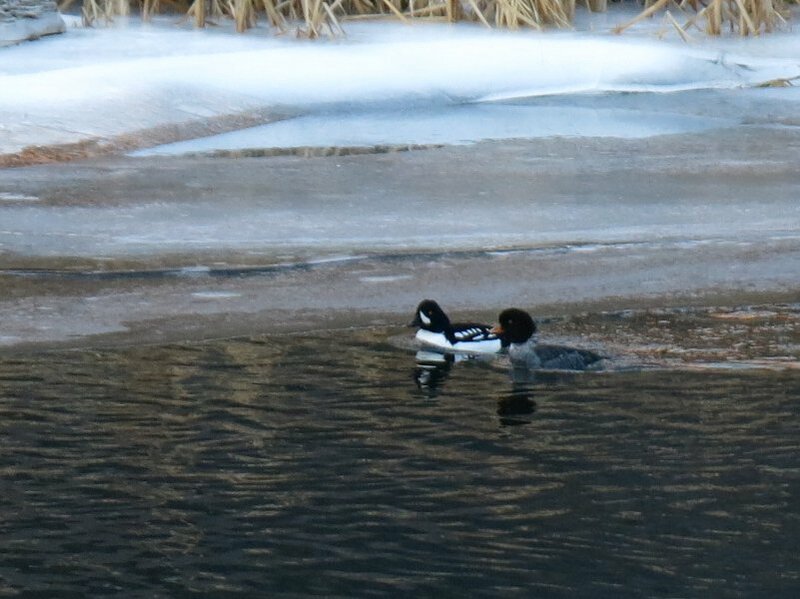 Barrows Goldeneye ducks were there, with their distinctive black-and-white markings and whistling flight. Just before the dam we turned uphill. The sign here, "Trail 124, Spring Hollow" is a bit confusing. The trail we know by that designation is located 1/4 mile to the east, but we also know this is one of the ways to get there. 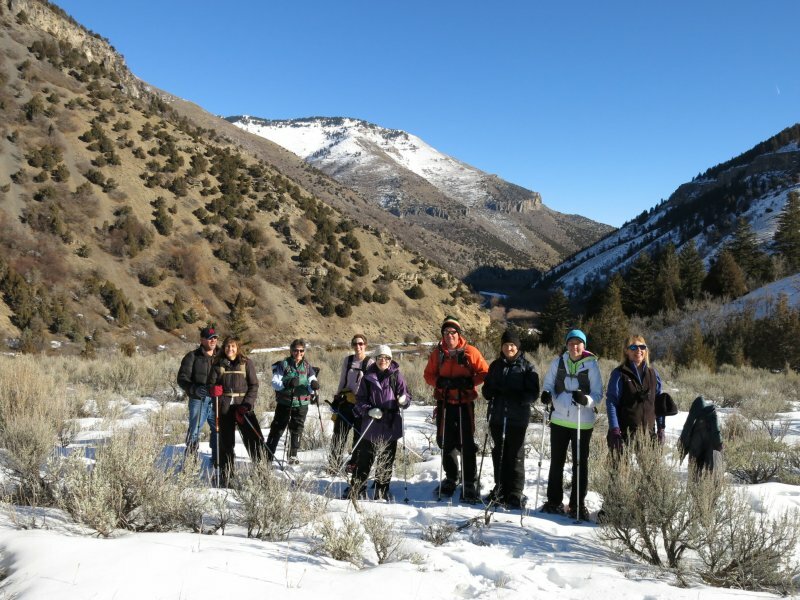 The group trekked south up through the open sagebrush meadow, then west to a spot overlooking the Cache Valley to the west and Logan Canyon to the east. Our original plan was to retrace our route from our overlook. This would have accommodated those looking for a short distance and a timely return to Logan. However, everyone in the group wanted to keep going, so we altered our plans and headed east toward the Spring Hollow trail. Here we found a sunny spot with a canyon view to enjoy a lunch break and then went north down the Spring Hollow trail. 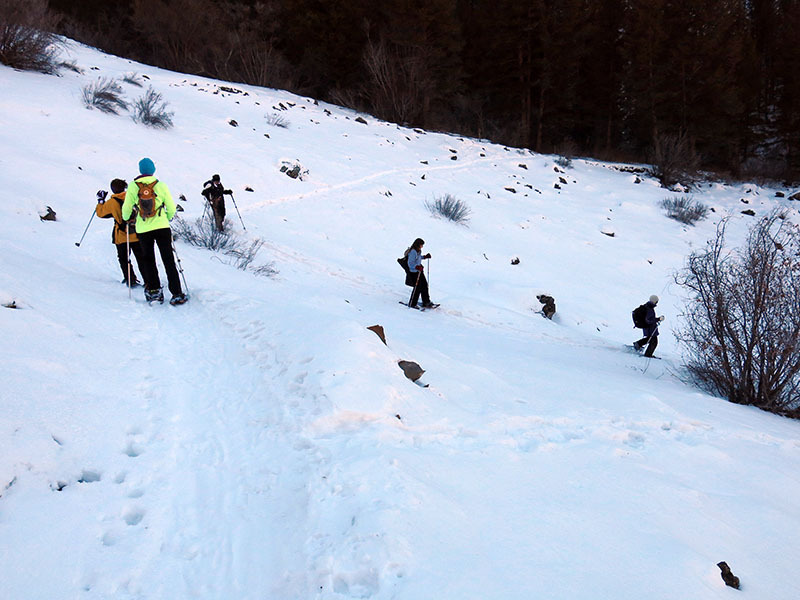 We made good use of the cleats on the bottoms of our snowshoes as we made our way down this steep, crusty and relatively untracked trail section. This trip was added to our schedule as part of Logan's Winterfest, held each year on the last Friday and Saturday in January. 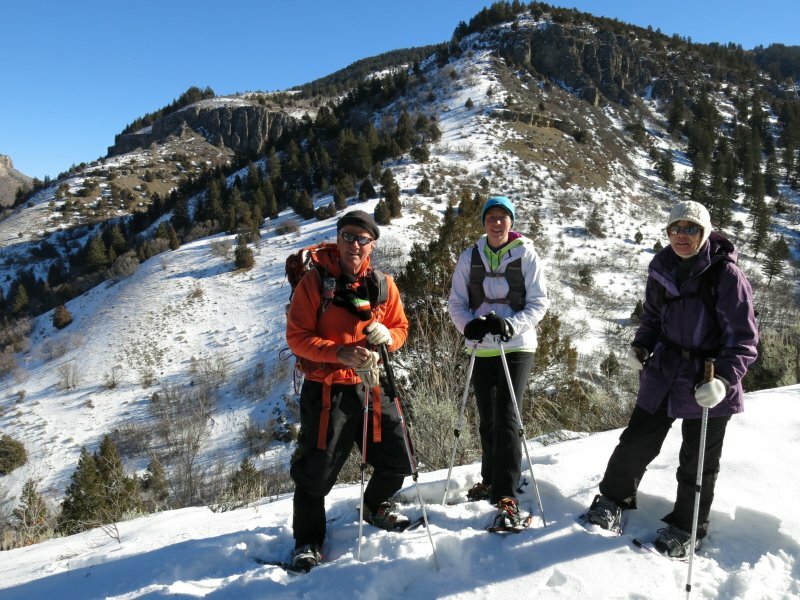 Our plan was for a shorter duration trip, convenient and suitable for a wide range of participants. The Logan Herald Journal accommodated our schedule change by combining announcements for our January 25 and 26 trips into a single announcement in Friday's paper. We had one "new" participant, but she had discovered us independently via the Cache Hikers website.